Microsoft prepares critical Windows patch for Next Tuesday ! 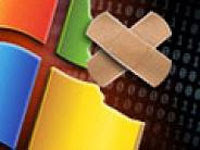 Microsoft will issue two bulletins for Patch Tuesday next week — a 'critical' one affecting Windows and an 'important' one for Office, the company said on Thursday. Affected software includes Windows Server 2003, Server 2008, Office XP, Office 2003, Office 2007, Office 2004 for Mac and Office 2008 for Mac, according to the advance notice. The light Patch Tuesday release follows 17 bulletins that Microsoft issued in April. Microsoft also said it is changing its Exploitability Index, the guide it uses to provide customers with information on the likelihood of a vulnerability being exploited.